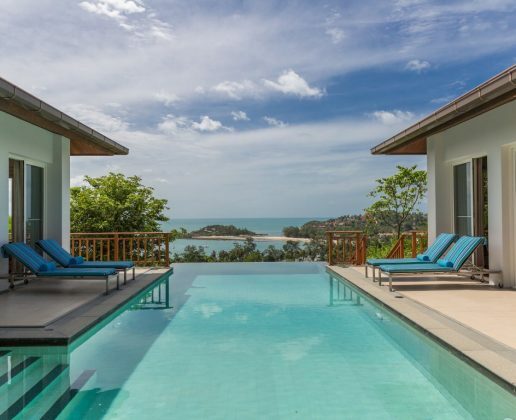 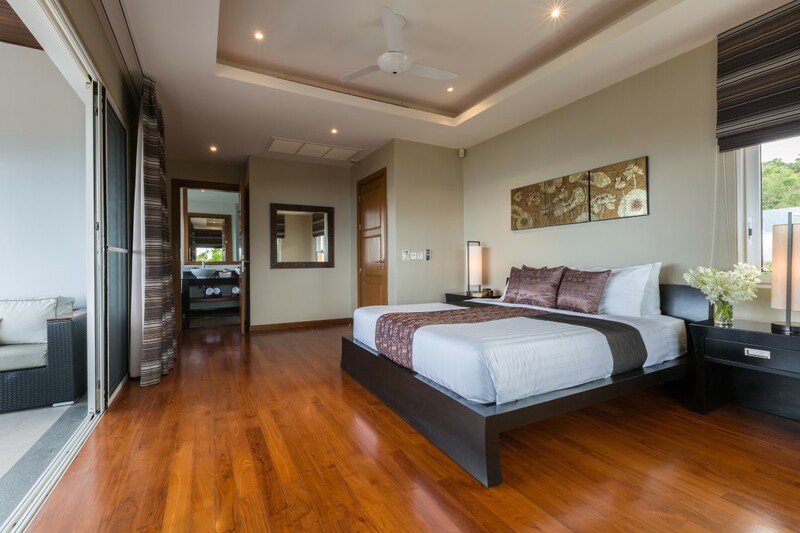 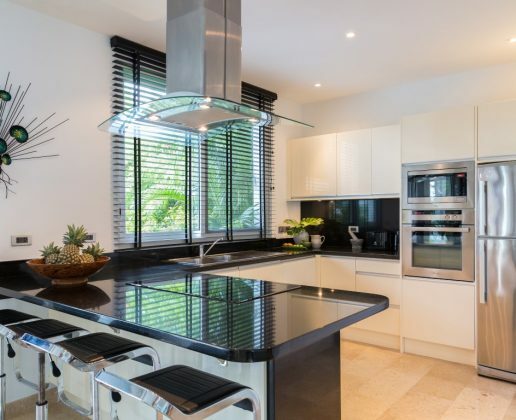 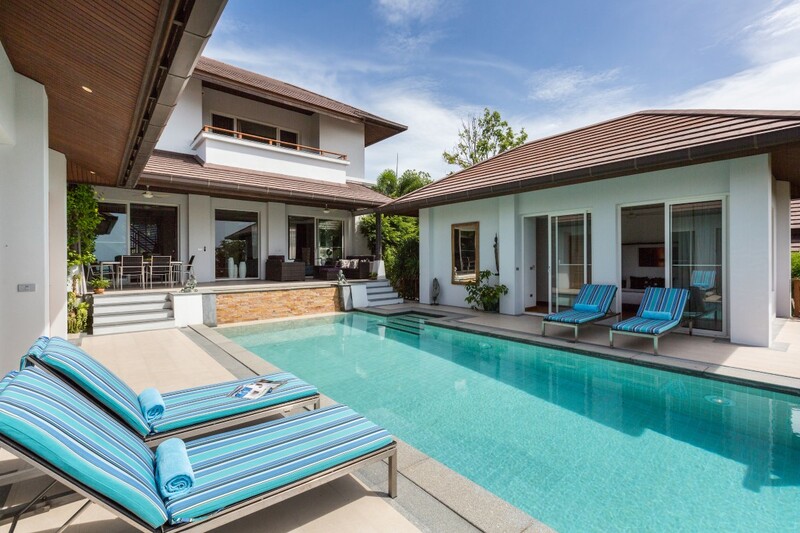 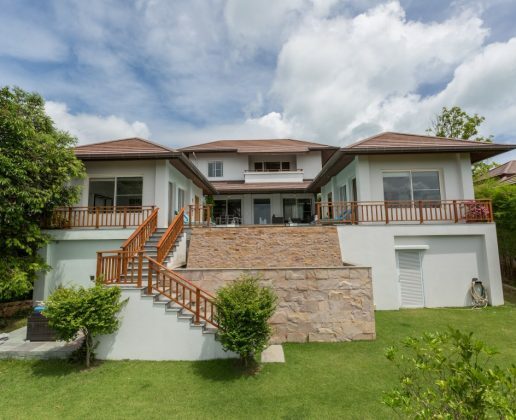 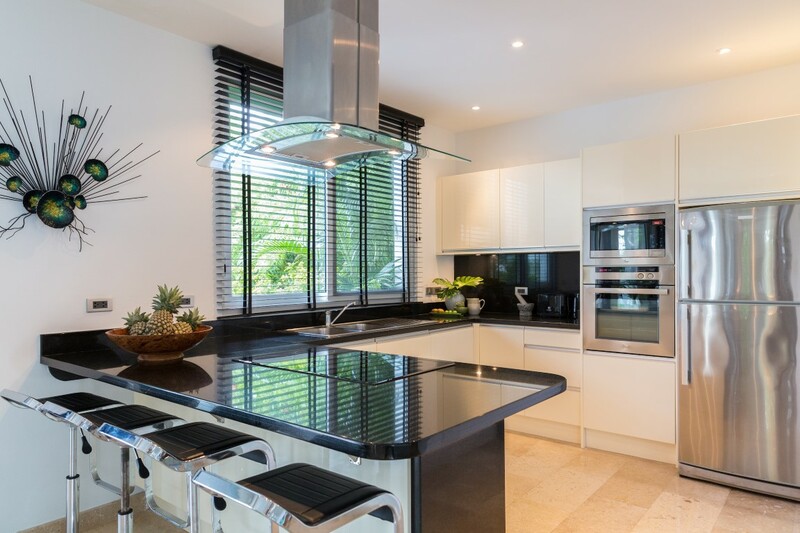 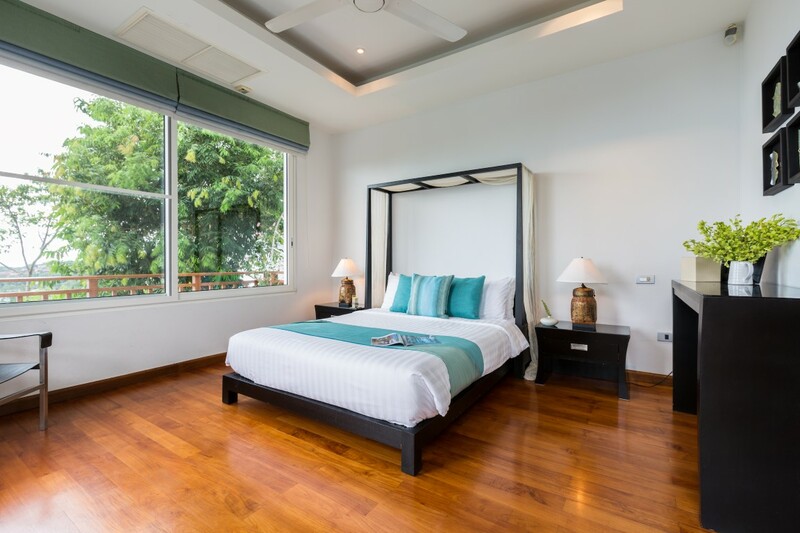 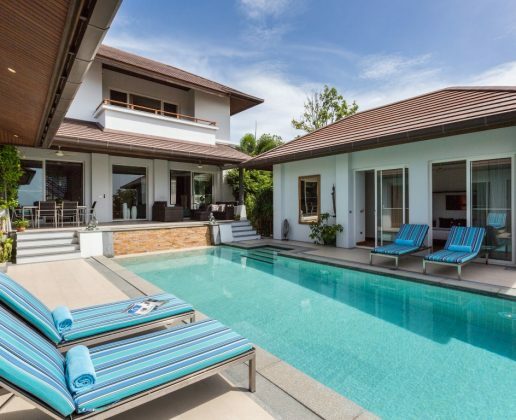 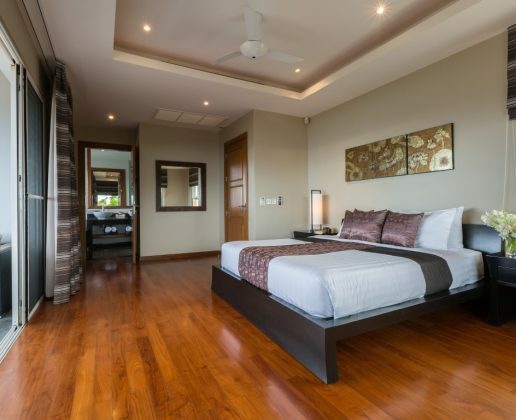 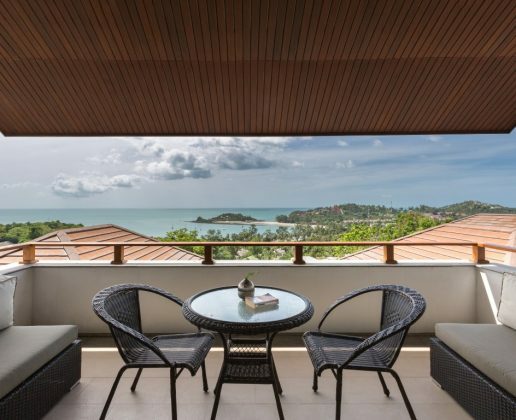 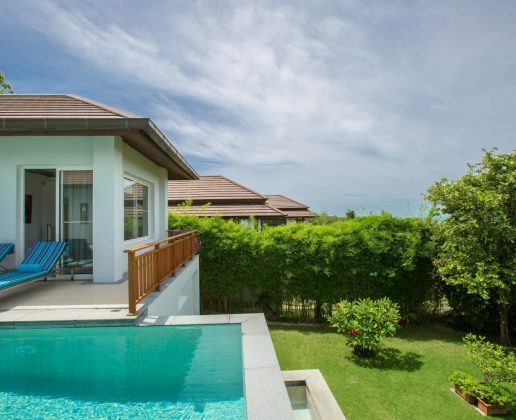 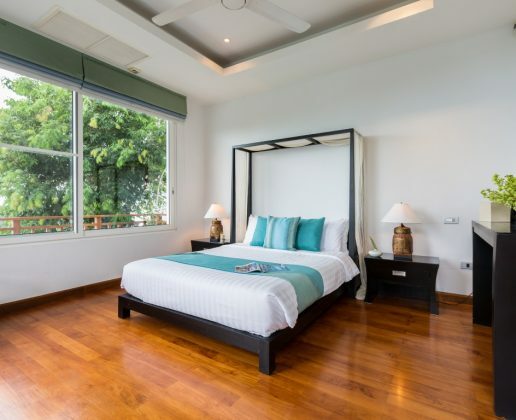 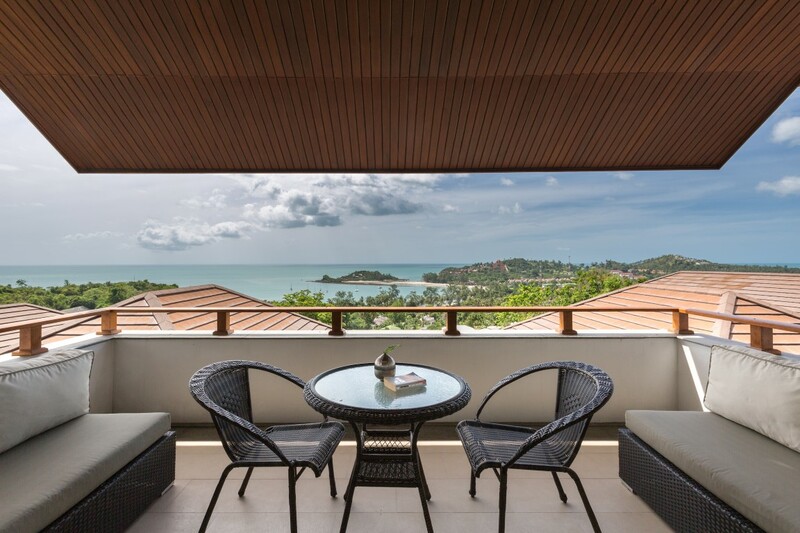 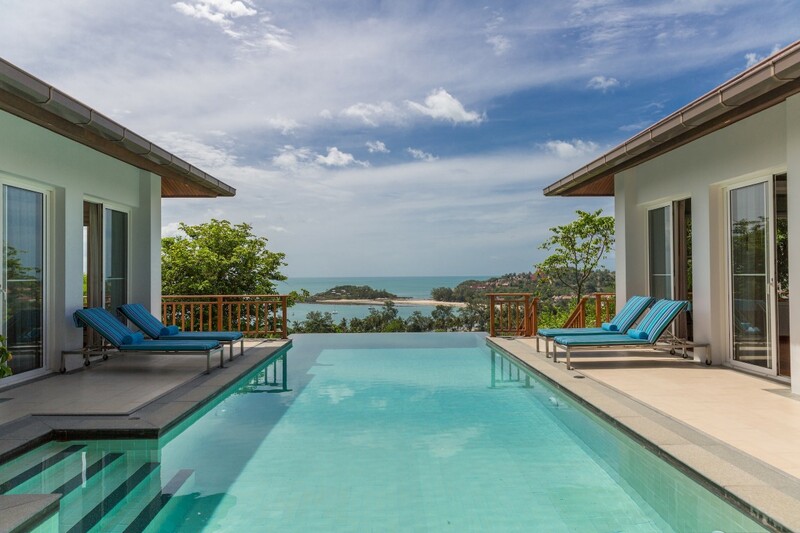 A 3 bedroom, 5 bathroom sea view villa located within a gated community which is a few minutes drive to Choeng Mon beach. 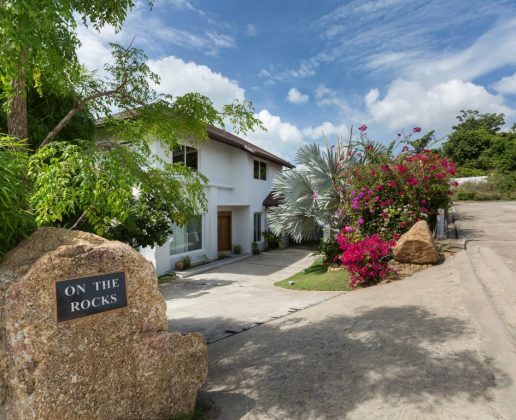 Choeng Mon is conveniently located for easy access to all the main shopping, tourist areas and transport links but far away enough to retain its well know village atmosphere. 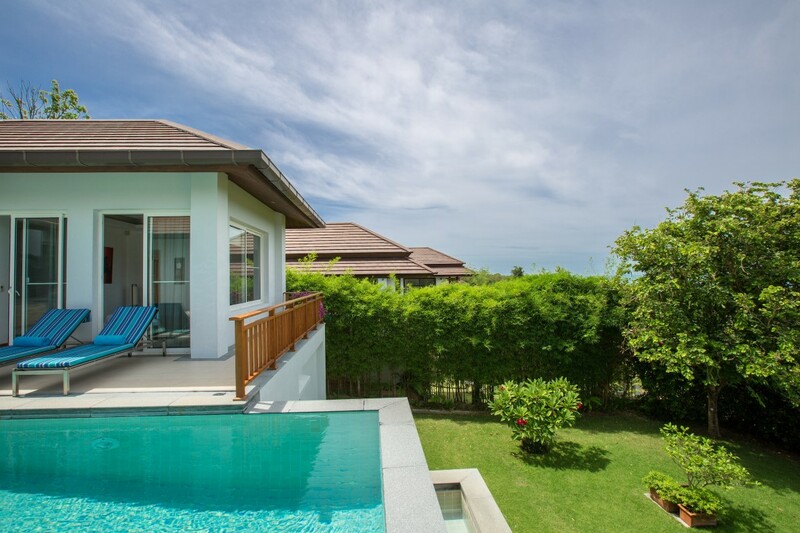 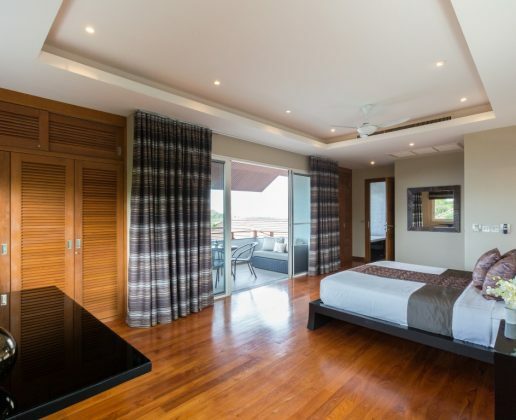 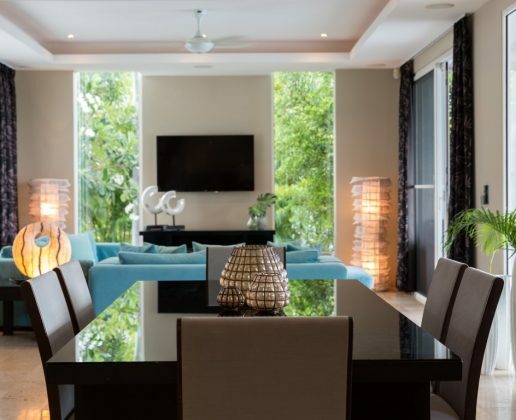 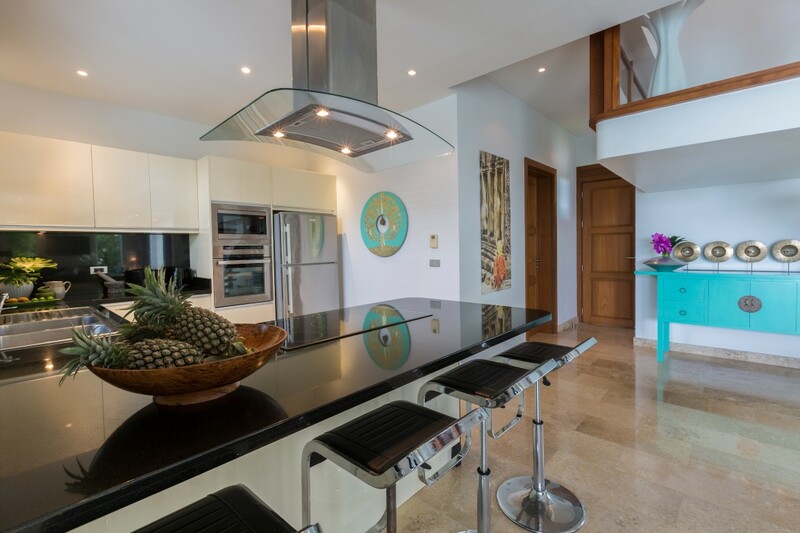 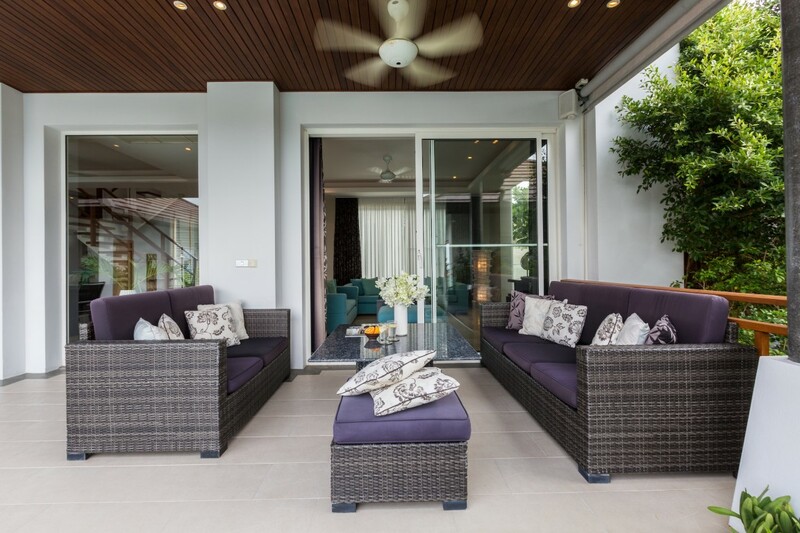 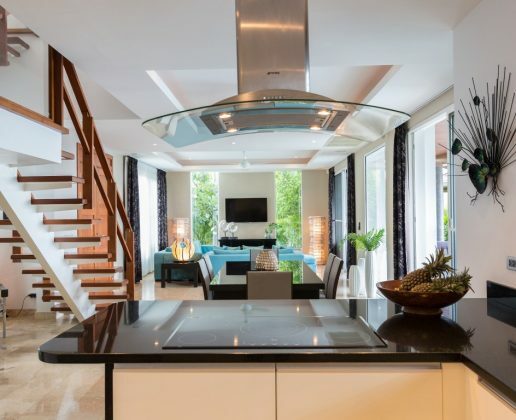 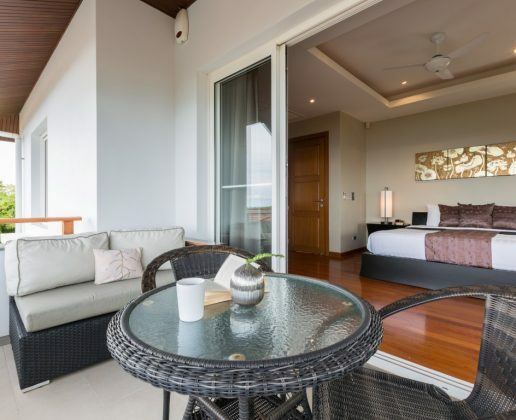 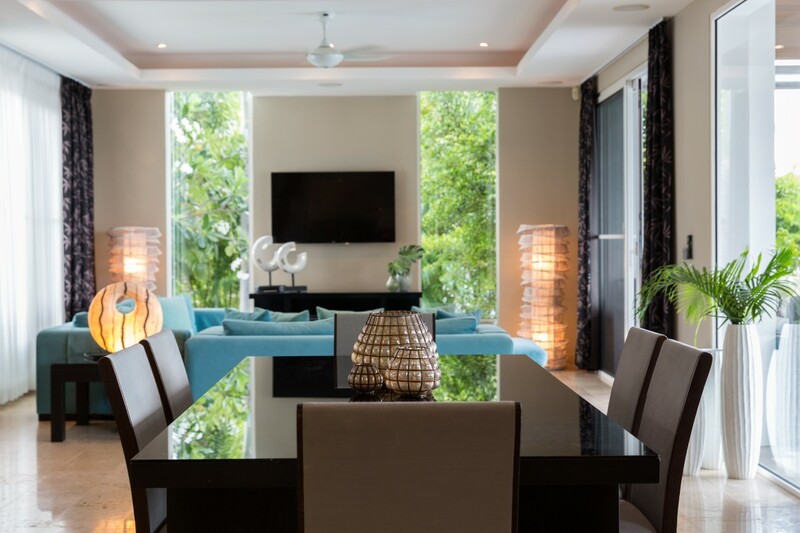 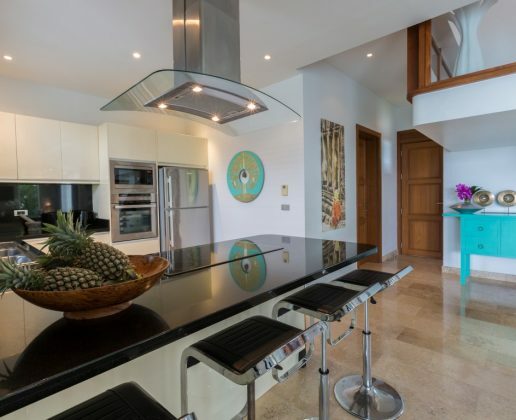 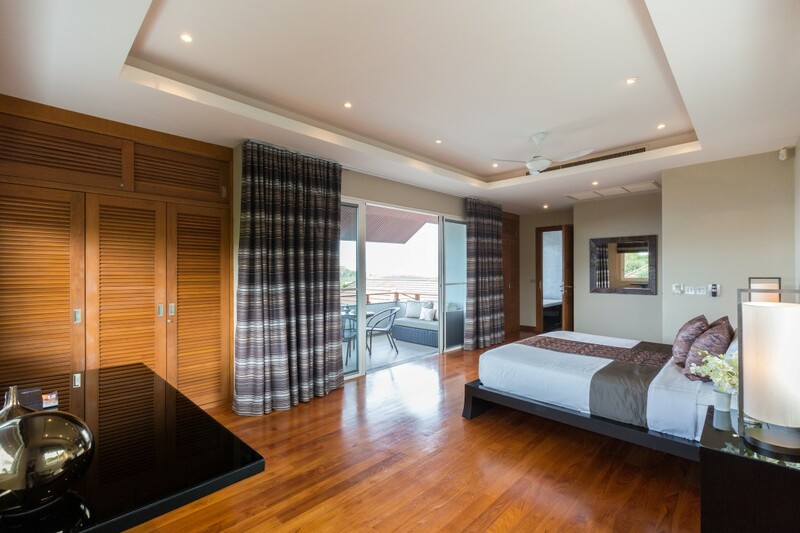 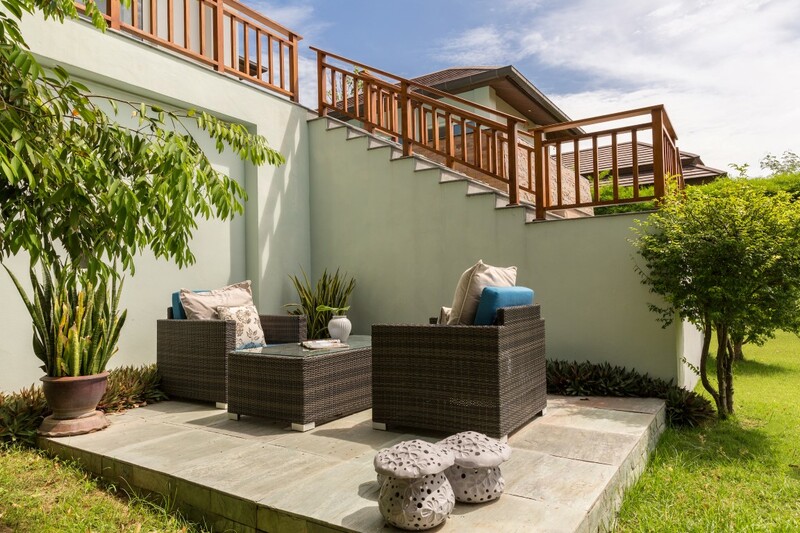 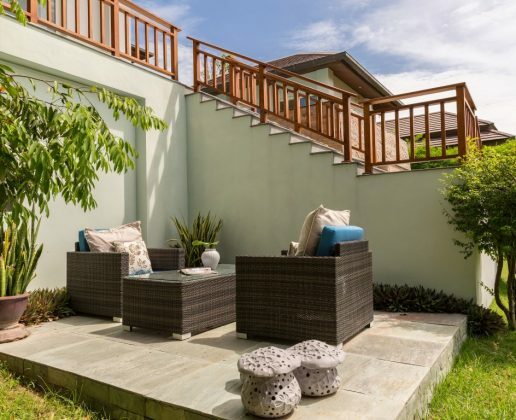 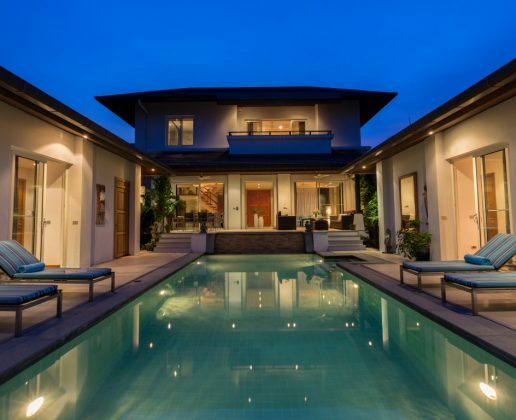 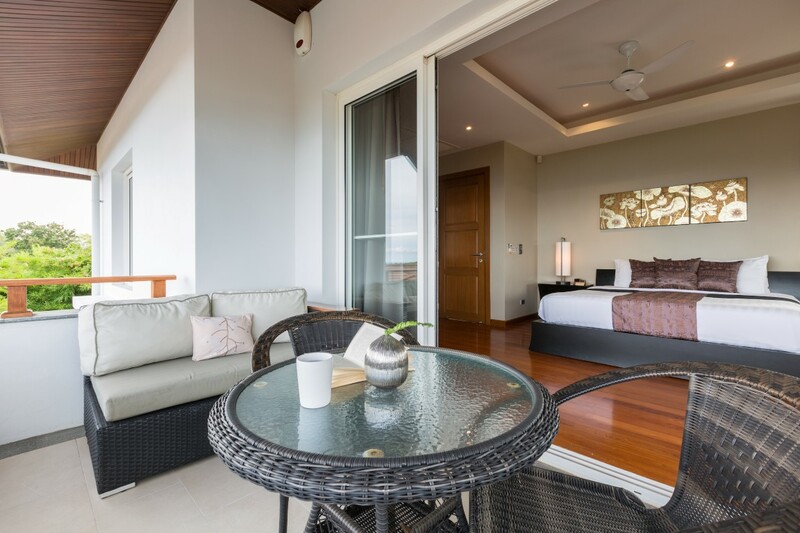 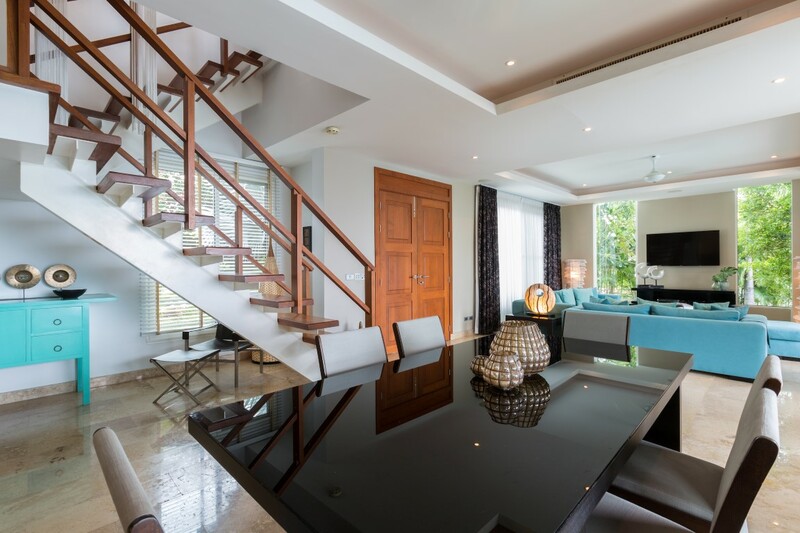 The 406 Sqm villa has sea views from all 3 bedrooms and main living area and a private garden area. 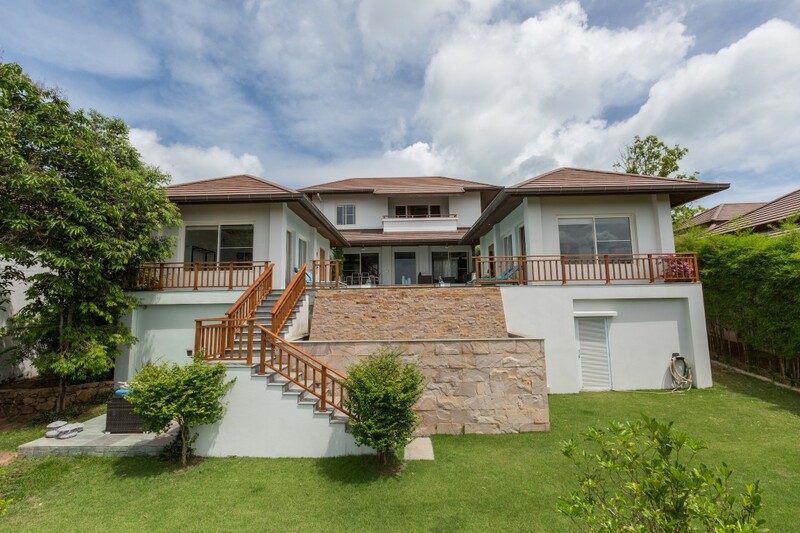 The main building has an open plan layout, which contains the spacious western fully equipped kitchen, dining area and lounge. 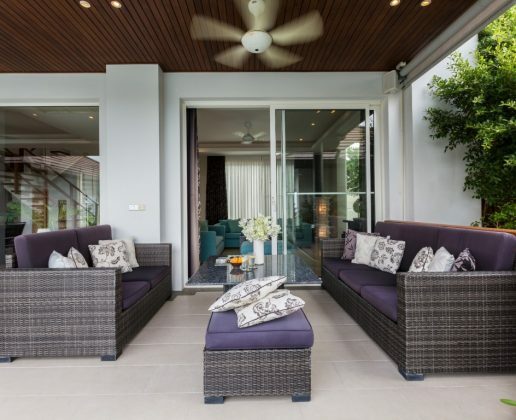 A covered patio also leads form this area to the swimming pool which makes this both a great entertainment and chill out space. 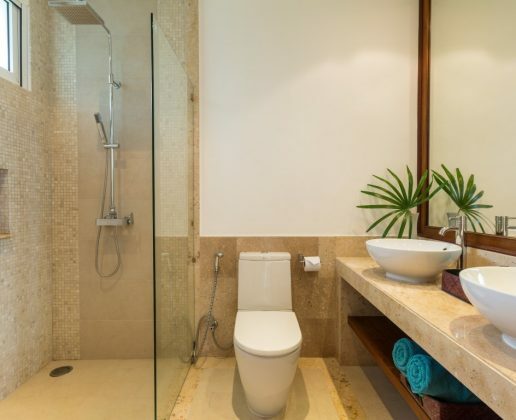 The downstairs also has a separate laundry area and leads to the covered car port. 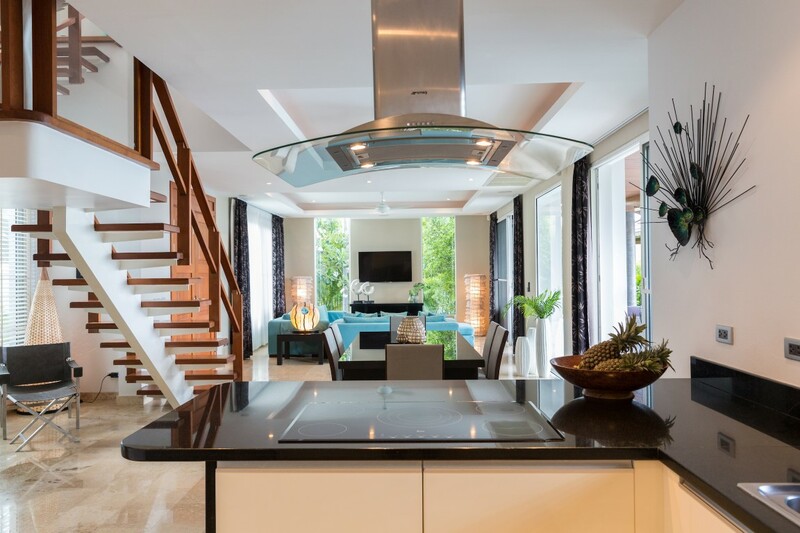 A feature staircase leads up to the upper floor which contains the master suite, with en-suite bathroom and private balcony. 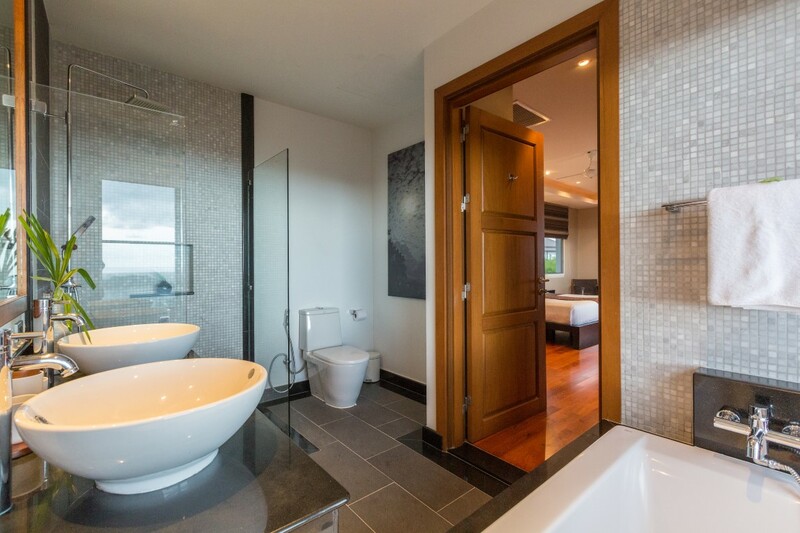 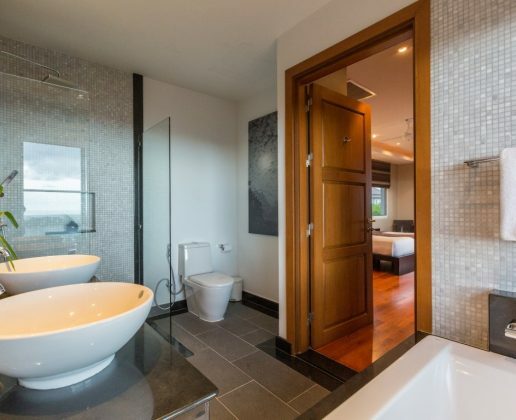 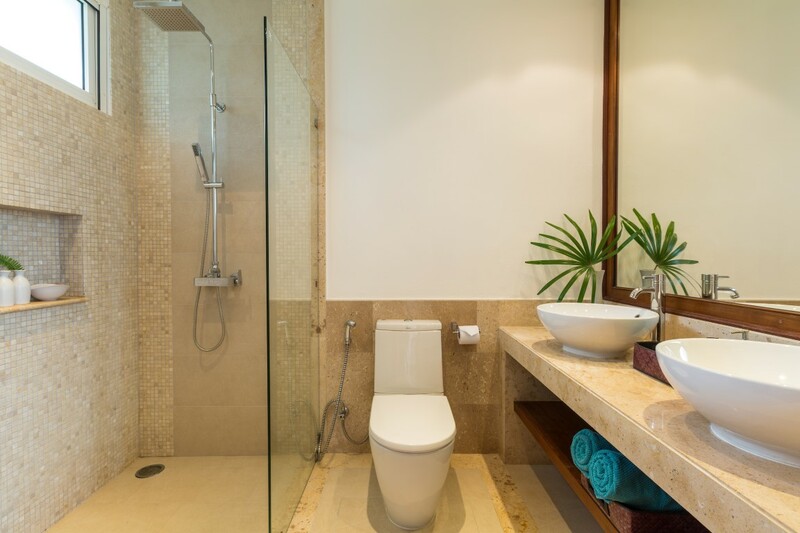 2 more en-suite bedrooms surround the swimming pool which itself leads to the private garden area. 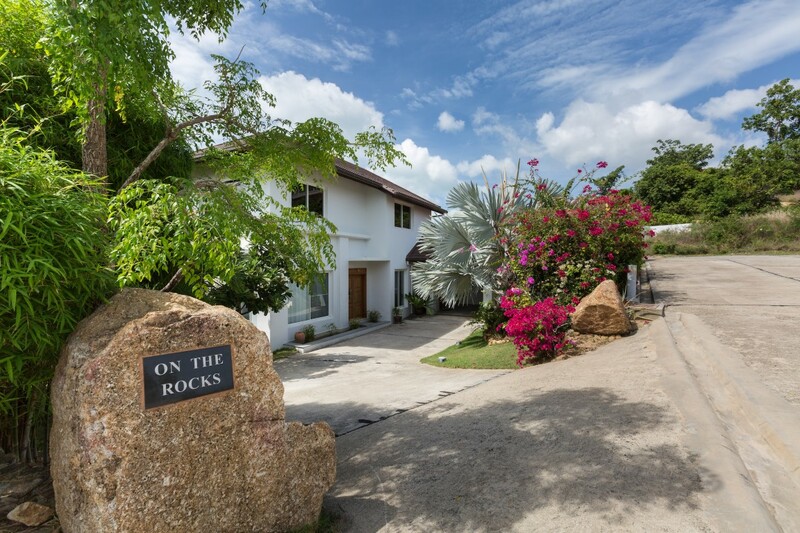 The gardens have beautiful flowers/plants which add to the feeling of nature and serenity.